Loyalist College of Applied Arts and Technology is overseen by a Board of Governors composed of members from the community at large and College employees. The Board is supported by the administration of the College. The Board is composed of 13 external governors (appointed) and four internal governors (elected from within the College representing students, academic, administrative and support staff). The College President is an ex-officio member of the Board. Mr. Forder was appointed to the Board of Governors in 2015 to complete the term of a previous governor, and was reappointed in 2016 for a three-year term. Mr. Forder served on the Academic, Student Affairs and Advocacy Committee in 2015–2016 and 2016–2017. In June 2017, Mr. Forder was elected as Chair of the Board of Governors for the 2017–2018 term, and was re-elected in June 2018 to serve this role for the 2018–2019 term. In addition to serving as Chair of the Board, he also chaired the Executive Committee and served as a member of the Nominating Committee, the Board By-Laws and Policies Committee, and the Loyalist College Foundation Board. He will be the Board’s Liaison member on the College’s Construction Committee. Mr. Forder joined the City of Quinte West in 2013 as Manager of Buildings and Facilities. Prior to his employment with the City of Quinte West, Mr. Forder was the Lean Coordinator at Kennametal Stellite (formerly Deloro Stellite Inc.) for over six years with a previous 21-plus years with Linamar Corp. He has held many positions in manufacturing and supports the community through volunteering. He is Past Chair and current Steering Committee member of the Quinte Manufacturers Association, Past Director of the Belleville Chamber of Commerce representing Industry, and is a member of the Manufacturing Engineering Technician, Mechanical Techniques, and the Welding Techniques Advisory Committees at Loyalist College. Mr. Forder graduated with Honours from Loyalist in 1988 with a Data Processing Diploma (IT Designation). Ms. Hagerman was appointed to the Board in 2012 and in 2015 was reappointed for a second three-year term. 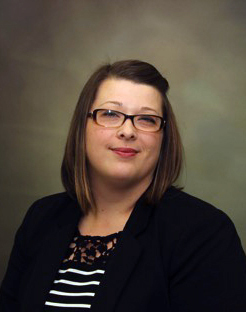 Ms. Hagerman served as a member of the Academic, Student Affairs and Advocacy Committee for 2012–2013 and 2013–2014, and was elected as Chair of the Academic, Student Affairs and Advocacy Committee for 2014–2015. During the 2014–2015 term, she also served as a member of the Executive Committee, the Nominating Committee, the Board By-Laws and Policies Committee, and was a member of the Loyalist College Foundation Board. In June 2015, Ms. Hagerman was elected as Chair of the Board of Governors for the 2015–2016 term, and was re-elected in June 2016 to serve this role for the 2016–2017 term. 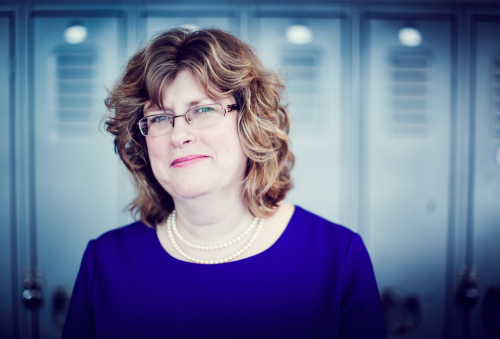 As Chair of the Board, she also chaired the Executive Committee, the Nominating Committee, the Board By-Laws and Policies Committee, and was a member of the Loyalist College Foundation Board. For the 2017–2018 term, Ms. Hagerman served as Past Chair for the Board of Governors, as a member of the Executive Committee, the Board By-Laws and Policies Committee and as a member of the Academic, Student Affairs and Advocacy Committee. She will continue in that capacity for 2018–2019. Ms. Hagerman retired from the Hastings and Prince Edward District School Board (HPEDSB) in 2007 after a 31-year career in education. She worked in the secondary school panel as a special education teacher, special education resource teacher, interdepartmental special education head, a secondary school vice-principal, as well as serving as a system-wide Special Education Coordinator. Following her retirement, Ms. Hagerman continues in an occasional role with the HPEDSB by preparing funding applications to the Ministry, interviewing teacher candidates and delivering behaviour management workshops. Ms. Hagerman is a graduate of the University of Toronto, holding an Honours Bachelor of Physical and Health Education and a Bachelor of Education degree. Appointed to the Board in 2015, Mr. Allen has served as a member of the Academic, Student Affairs and Advocacy Committee for the 2015–2016, 2016–2017 and 2017–2018 terms. In June 2018, Mr. Allen was elected as Vice Chair of the Board of Governors for 2018–2019. In this role, Mr. Allen will serve as a member of the Executive Committee, the Nominating Committee and the Board By-Laws and Policies Committee. Mr. Allen has served the YMCA organization for 33 years, beginning in Peterborough and Ottawa. In 1997, he was appointed Chief Executive Officer in Sault Ste. Marie, followed by Regional Director in Belleville and Quinte. He served as the Interim Chief Executive Officer in Brockville in 2011 and was the Vice President of Operations for the YMCA of Central East Ontario until assuming his current role of President and Chief Executive Officer in 2016. Mr. Allen has significant board experience as a Board of Directors provides governance at each YMCA facility. Mr. Allen graduated from Algonquin College in 1985 with a Recreation and Facilities Management diploma and, in 1995, completed the Management, Leadership and Decision Making program through the University of Ottawa. Since then, he has also completed numerous work-related training and development courses. Mr. Allen has strong affiliations with many community groups but may be best known as the Chair for the Rotary Club of Belleville and two very successful United Way campaigns in the Quinte area (2011 and 2012). He is a member of the Loyalist College Recreation and Leisure Services – Sports/Fitness and Health Promotion Program Advisory Committee. Mr. Farrell joined the Board in 2015 and was reappointed for a second three-year term in 2018. He served as a member of the Finance, Corporate Services and Governance Committee as well as the Audit Committee during those three years. In June 2018, Mr. Farrell was elected as Vice Chair of the Board of Governors for 2018–2019. In June 2015, Mr. Farrell was elected as Chair of the Finance, Corporate Services and Governance Committee for the 2016–2017 term, and was re-elected in that role for 2017–2018. In addition to serving as Chair of this Committee, Mr. Farrell will also serve as a member of the Executive Committee, the Nominating Committee, the Board By-Laws and Policies Committee and the Audit Committee. Mr. Farrell has been employed by the Royal Bank of Canada since 2005. Recently, he transitioned out of the Investment and Retirement Planning role that he had held for the previous 12 years. He now runs his own wealth management practice under the RBC Dominion Securities banner. Prior to arriving at RBC, Mr. Farrell worked as a Financial Advisor with CIBC Imperial Service in Kingston and Toronto. In 2002, he became licensed as a Certified Financial Planner. Mr. Farrell graduated from the University of Western Ontario in 1996 with a Bachelor of Arts and an Honors Specialization in Sociology degree, and completed the Human Resource Management post-diploma program at Seneca College in 1998. Support of community and volunteerism are important to Mr. Farrell. Most recently, he served five years on the Belleville Chamber of Commerce board, serving as a Director, President and Past President. He is also the current President of the Belleville Sales and Advertising Club, served on the Special Events Committee of the Belleville Downtown Improvement Association, and was a member of the Festival of Trees Gala Committee. Appointed to the Board in 2016, Ms. Brandt has served as a member of the Finance, Corporate Services and Governance Committee for the 2016–2017 and 2017–2018 terms. Ms. Brandt is Chief Executive Officer of the Caressant Care Retirement and Nursing Home in Marmora, a position that she has held for the past seven years. 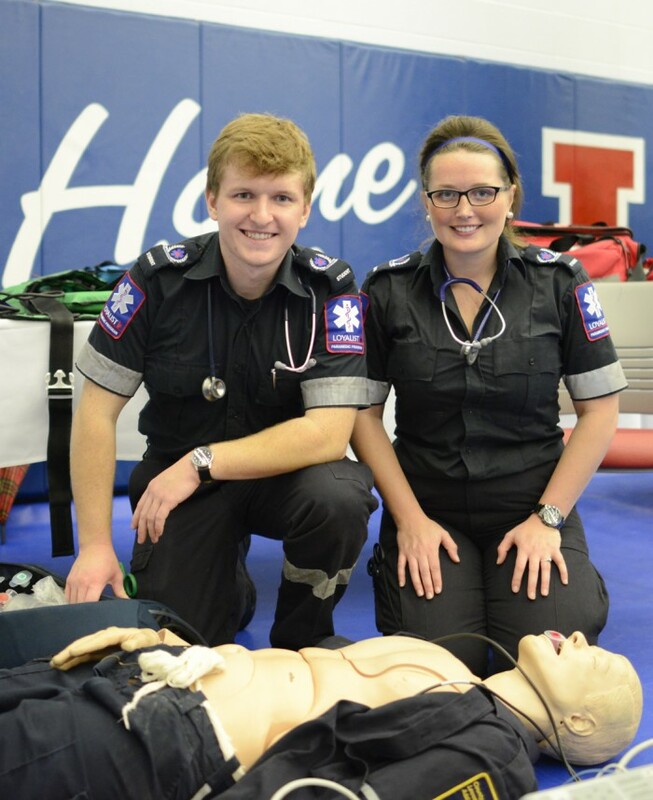 Throughout her extensive 30-year career in health care, Ms. Brandt worked in various management roles and led clinical education, including the Regional Paramedic Program for Eastern Ontario (RPPEO). 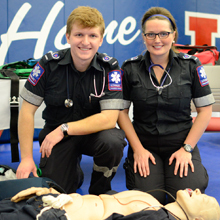 She graduated from Loyalist College’s Nursing program and St. Lawrence College’s Occupational Health Nurse program. Ms. Brandt is an active volunteer on the Health Team Committee Advisory Boards for Madoc, Marmora and Stirling-Rawdon, and is a representative on the Palliative Care Steering Committee for the South East Local Health Integration Network (LHIN). In 2012, Ms. Brandt chaired the Stirling-Rawdon Hockeyville Committee, overseeing the community’s successful submission to the Kraft Hockeyville program, which secured $100,000 in upgrades to the Stirling Arena and the privilege of hosting an NHL exhibition game. In 2012, Ms. Brandt received the Loyalist College Hugh P. O’Neil Outstanding Alumni Award, which recognizes a graduate who has made an exceptional contribution to his or her community through professional, community leadership or volunteer service. That year, she also received the Queen Elizabeth Jubilee Award for recognition of outstanding achievement in Canada. Ms. Jolliffe is an experienced executive with a demonstrated history of working in non-profit organizations. She has advocacy, governance, management and policy skills, and has strong connections in a variety of sectors including youth services, mental health, homelessness and poverty. Currently, Ms. Jolliffe is the Principal of P. Jolliffe and Associates. During her 30-year career, she has served as Interim Executive Director with Food Banks Canada; President and CEO of Boys and Girls Club of Canada/Boys and Girls Clubs of Canada Foundation; Executive Director of Fred Victor Centre; and as the Director of Planning and of Adult Services at St. Christopher House. Ms. Jolliffe received a Bachelor of Arts Honours from York University and a Master of Education (Counselling Psychology) from the University of Toronto. She has served on several non-profit boards, including St. Michael’s Hospital, the Ontario Non-Profit Housing Association, and the Centre for Addictions and Mental Health (CAMH). Ms. Kelleher was elected by support staff colleagues in April 2014 and was acclaimed to serve a second three-year term in 2017. Ms. Kelleher was a member of the Academic, Student Affairs and Advocacy Committee in 2014–2015 and a member of the Finance, Corporate Services and Governance Committee from 2015 to the end of 2018 term. Ms. Kelleher has been affiliated with the School of Continuing Education since 2008, when she was first hired as a work study student as a Night School Clerk, later as a Summer Camps Facilitator Camp Assistant, and then progressive permanent roles such as OntarioLearn Technician, OntarioLearn Exam Specialist, Health Studies and Developmental Services Worker Clerk, Off-Campus Coordinator and Information Specialist. Ms. Kelleher’s current position is Coordinator of the Loyalist College Pathway program. Ms. Kelleher graduated from the Radio Broadcasting program at Loyalist in 1999, and returned in 2007 to complete the three-year Business Administration Diploma program as well as the Human Resources Management Certificate program. Ms. Kelleher is the Chief Steward for Support Staff OPSEU Local 421 and is Chair of College Council. Mr. MacKinnon was appointed to the Board in 2014 and reappointed for a second three-year term in 2017. He has been a member of the Finance, Corporate Services and Governance Committee for the past three years (2014–2015, 2015–2016 and 2016–2017), and the Audit Committee for two of those three years. For the 2017–2018 term, in addition to his continued service to the Finance, Corporate Services and Governance Committee, Mr. MacKinnon Chaired the Audit Committee, a position that he has held since 2015. Mr. MacKinnon served as CEO of the Ontario Hospital Association and the Ontario Development Corporation. He has also served in senior capacities in the Bank of Montreal, the Ontario Department of Finance and the Nova Scotia Department of Development. 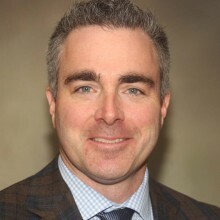 In recent years, Mr. MacKinnon served as a member of the governing Council of the Ontario College of Physicians and Surgeons and as Chair of West Park Health Centre, a Toronto rehabilitation hospital. 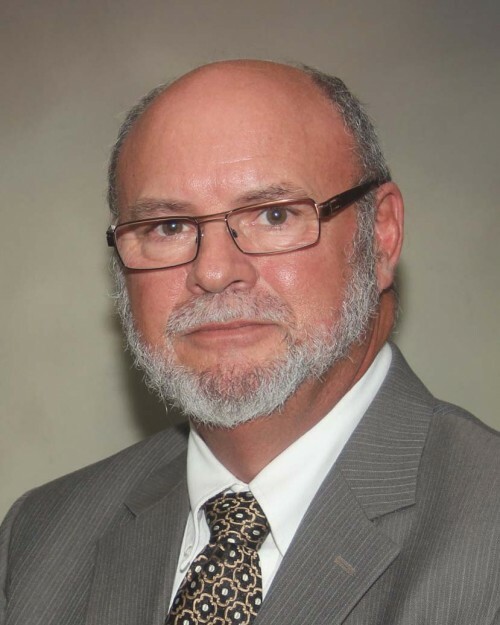 He currently serves on the Canadian Standards Association Board and as Vice Chair of the Quinte Health Care Board. A native of Prince Edward Island, Mr. MacKinnon holds a B.A. (Honours Economics) from Dalhousie University and an M.B.A. from York University. He has also studied at Harvard University, the European Institute of Business Studies and Oxford University as a Centennial Fellow, sponsored by York University and the CIBC. Appointed to the Board in 2013 and reappointed in 2016 for a second three-year term, Ms. Maracle has served as a member of the Academic, Student Affairs and Advocacy Committee for four terms (2013–2014, 2014–2015, 2015–2016 and 2016–2017). In June 2015, Ms. Maracle was elected as Vice Chair of the Board of Governors for 2015–2016, and continued in that role for two additional years following her re-election in June 2016 and June 2017. As Vice Chair of the Board, Ms. Maracle served as a member of the Executive Committee, the Nominating Committee, and the Board By-Laws and Policies Committee. Ms. Maracle has 20 years of experience in education having served the roles of Post-Secondary Education Assistant and Post-Secondary Education Program Manager with the Mohawks of the Bay of Quinte. Ms. Maracle works directly with students providing career and personal counselling, ensuring student success in their chosen field of study; assists in the development and delivery of specialized Native programming; and manages the Post-Secondary Education Program budget. She is responsible for liaising with funding and support service agencies and with various colleges and universities. Ms. Maracle represents the Mohawks of the Bay of Quinte on educational advisory committees. Ms. Maracle is a graduate of the Social Services Worker program at Loyalist College. Ms. May-Anderson is the Executive Director of Hospice Quinte, a position she accepted in 2017. As Executive Director, Ms. May-Anderson is responsible for leadership/ management, communications and public relations, fund development and marketing, Board support, and governance. Prior to this appointment, Ms. May-Anderson served as the Communications Manager for Quinte Conservation from 2008–2017, Operations Supervisor with B-Line Distribution, Dispatcher with Kingsway Transport, Systems and Procedures Coordinator with Meyers Transport, and as Dispatcher with International Truckload Services. Ms. May-Anderson is a 1996 graduate of Loyalist College, having earned a diploma in Broadcast Journalism. She is an active member of the Public Relations Program Advisory Committee at Loyalist and is pursuing a Bachelor of Professional Arts in Communication Studies through Athabasca University. Mr. Narraway is Manager, Marketing and Tourism for the Municipality of Port Hope and has a background in business development, sales, marketing and advertising. Prior to joining the Municipality of Port Hope in 2015, Mr. Narraway served as the Business Development Officer for the Town of Cobourg, as a consultant with Fanfare Concepts in Toronto, and as Account Director with Collective Marketing and Advertising in Toronto as well as with Echo Advertising in Toronto. As the Business Development Officer for the Town of Cobourg, Mr. Narraway worked with business leaders, politicians and community activists to lead the Downtown Vitalization Project; this initiative focused on revitalizing the central downtown business district and on developing a manufacturing attraction strategy for the Town of Cobourg. Mr. Narraway earned a Journalism diploma from Durham College, a Business Writing certificate from the Institute of Canadian Advertisers, a Personal Trainer – CanFit Pro certificate from Ryerson University, and an Introduction to Quark certificate from Loyalist College. Ms. Obasohan is a second-year Customs Border Services student and was elected by Loyalist students to serve on the Board of Governors for the 2018–2019 term. Following her graduation from the Pearson Adult and Career Centre in Montreal, Quebec, Ms. Obasohan enrolled in the Nursing program offered by Dawson College. Volunteerism is very important to Ms. Obasohan, who has been involved with many different volunteer opportunities prior to, and since, attending Loyalist. While attending Dawson College, Ms. Obasohan volunteered at various hospitals and volunteered for two years at Maimonides Geriatric Care in Montreal. Since joining Loyalist, she has supported the Quinte Regional Science and Technology Fair and has volunteered at Quinte Immigration Services. Relevant to her program and future career, Ms. Obasohan volunteers at the York Regional Police as crowd control support. Mr. Patel was elected to the Board of Governors by faculty staff colleagues in April 2014 and was re-elected in 2017 to serve a second three-year term. He has been a member of the Academic, Student Affairs and Advocacy Committee since joining the Board. Mr. Patel served as a member of the Loyalist College Foundation Board from 2014–2017. 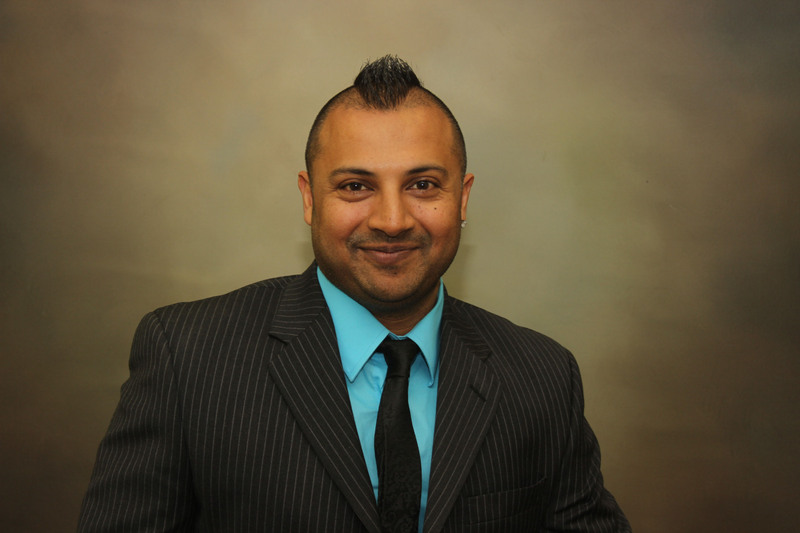 Mr. Patel graduated in 2001 from Ryerson Polytechnic University with a Bachelor of Science in Nursing. He joined the College in 2013 and teaches in the Practical Nursing program, School of Health, Human and Justice Studies. Mr. Patel has been an active member of the College having participated in College Open House events, in weekly professional development workshops organized by the Office of Teaching and Learning, in the Program Quality Approval process for the Practical Nursing program, in program advisory committee meetings, and as a member of Loyalist’s Orientation Committee. Prior to joining Loyalist, Mr. Patel taught part time at Humber College and worked at St. Joseph’s Health Centre as the Team Leader for Child and Adolescent Mental Health and at Humber River Regional Health Centre (Child and Adolescent Mental Health) and Rouge Valley Health System (Child and Adolescent Mental Health). He is a member of the College of Nurses, Pediatric Mental Health Advisory Group. 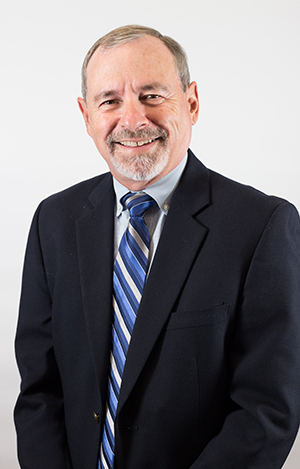 Mr. Pine was appointed to the Board in 2016 and has served as a member of the Finance, Corporate Services and Governance Committee for the past two years. Mr. Pine is Chief Administration Officer (CAO) for the County of Hastings, comprised of 14 member municipalities, stretching almost 160 kilometres from the Bay of Quinte to Algonquin Park. Based in Belleville, he is responsible for all business affairs and Hastings County services, including procurement; emergency; long-term care; community; and human. Through a management team of six department heads and the Deputy Clerk, Mr. Pine ensures the efficient and effective operation of all departments, comprising approximately 850 employees. He directs the preparation of plans submitted to County Council and once approved, works closely with the Warden and County Council to supervise the implementation of programs to enhance County services, property and facilities. Prior to his appointment in 2002, Mr. Pine served as Regional Director for the Ministry of Municipal Affairs and Housing in Kingston, CAO for the City of Quinte West, and CAO for the Township of Sidney, among other local government positions. Mr. Pine graduated from Queen’s University with a Master of Public Administration (MPA) and a Bachelor of Arts Honours degree. He has significant board experience as a member of the Local Authorities Services (LAS) Board of Directors of since 2005, and past Secretary-Treasurer of the Executive Board of the Association of Municipalities of Ontario, and member of the Municipal Property Assessment Corporation Board of Directors. Appointed to the Board in 2013 and reappointed in 2016 for a second three-year term, Ms. Rutledge has served as a member of the Finance, Corporate Services and Governance Committee since joining the Board. She was elected and served as Chair of the Finance, Corporate Services and Governance Committee for two terms (2014–2015 and 2015–2016). As Chair of the Committee, she also served as a member of the Executive Committee, the Nominating Committee, and the Board By-Laws and Policies Committee. Ms. Rutledge has been a member of the Audit Committee since 2014. In June 2018, Ms. Rutledge was elected as Chair of the Finance, Corporate Services and Governance Committee for 2018–2019. Ms. Rutledge is Executive Director, Community Futures Development Corporation of North and Central Hastings and South Algonquin, and has 10 years of experience with Community Futures. She held management positions during those years and worked directly with provincial and federal government representatives. Prior to joining Community Futures, Ms. Rutledge held the position of Personal Banking Officer, Scotiabank for 15 years. Ms. Rutledge’s responsibilities at Community Futures include the development of business plans; budget management; management of lending portfolios; and researching, analyzing, identifying and implementing program and service enhancements that meet the needs of her clients; as well as human resources and office management responsibilities. Ms. Rutledge is a graduate of the Culinary Management program of George Brown and is a long-time resident of the North Hastings area. Mr. Saunders is an experienced executive with strong connections within the local and surrounding community. He has skills, expertise and experience in governance, business and human resource management, finance and accounting, and strategic planning. Mr. Saunders has more than 35 years’ experience in manufacturing having served in progressive senior level roles with Procter and Gamble and then as President of Sauncorp International, a company that focused on organizational effectiveness and quality systems (ISO 9000). His decision to become more engaged in the community provided the backbone to his non-profit Board of Directors experience having served as the Executive Director with Volunteer and Information Quinte for six years, President of the Board of Directors of the Pathways to Independence Foundation for five years, and prior to his retirement, was Chief Executive Officer of the Belleville Chamber of Commerce for six years. 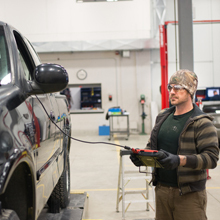 Mr. Saunders is a graduate of McMaster University’s Industrial Management certification program and the University of Tennessee’s Applied Process Improvement program. 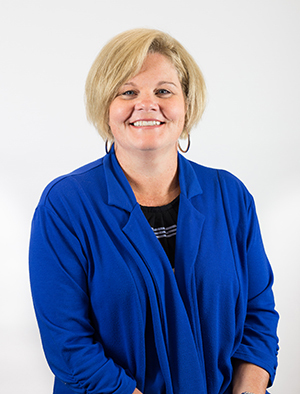 Ms. Sinclair was elected in 2018 by the College’s Administrative constituency members as the Administrative member on the Board for a three-year term. Ms. Sinclair joined the College in 2012 as the Administrative Project Coordinator working on a project related to the College’s Program Quality Assurance Process Audit (PQAPA). Prior to joining Loyalist, Ms. Sinclair worked at The Solski Group as the Marketing Coordinator and Executive Assistant to the President; as the Assistant Editor with The Medical Post; the Production Manager (Healthcare and Financial) at Rogers Publishing; and as Production Coordinator and Editorial Secretary with Ontario OUT of DOORS magazine. Ms. Sinclair graduated from the Print Journalism program at Loyalist in 2001 and is currently working towards a Bachelor of Professional Arts in Communication Studies from Athabasca University. She supports the community through volunteering and, since 2011, has supported Volunteer and Information Quinte as a choreographer in their fundraising event Dancing with the Stars Quinte. Dr. Ann Marie Vaughan began her position as President and Chief Executive Officer at Loyalist on November 7, 2016. Prior to that date, the Board of Governors unanimously approved the hiring of Dr. Vaughan at their October 13, 2016 Board of Governors meeting. Dr. Vaughan was the President and Chief Executive Officer for the College of the North Atlantic, located in Newfoundland and Labrador, from 2011–2016. 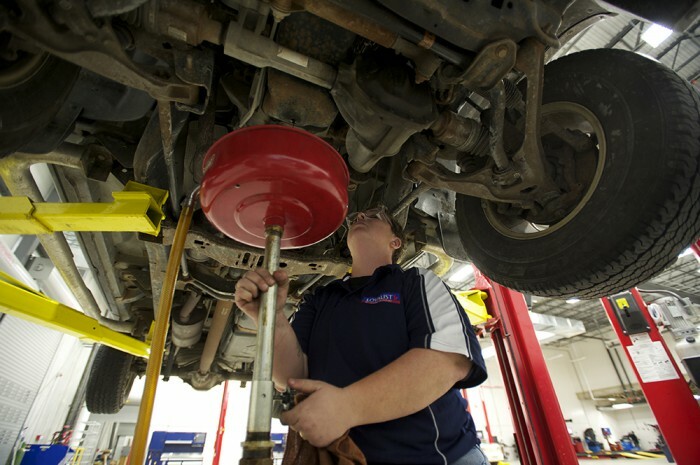 The College consists of 17 campuses, an annual budget of $140 million, 9,000 full- and part-time students, 17,000 continuing education students and 1,200 employees. She was recognized as a Top 50 CEO in Atlantic Canada in 2015. Prior to her position at the College of the North Atlantic, Dr. Vaughan was the Director for Distance Education and Learning Technologies at Memorial University, serving in that role from 2001 – 2011. She holds a Bachelor of Arts and a Bachelor of Education from Memorial University; certificates in Public Administration and Business from Memorial University; a Master of Arts in Higher Education from the University of British Columbia, and a Masters certificate in Project Management from York University/Memorial University. Continuing on her lifelong learning journey, in 2015, Dr. Vaughan received her doctorate in higher education leadership from the University of Calgary. On April 11, 2018, Dr. Vaughan was appointed to serve as an Honorary Colonel in the Royal Canadian Air Force and is affiliated with 426 Training Squadron, 8 Wing, CFB Trenton in this capacity until 2022.